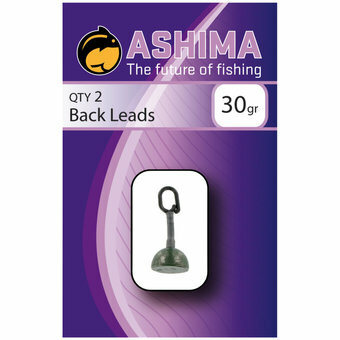 Ashima Back leads have a weight of 30 grams. They are coated in a green color and have a unique line clip. Ashima Back leads have a weight of 30 grams. They are coated in a green color and have a unique line clip. 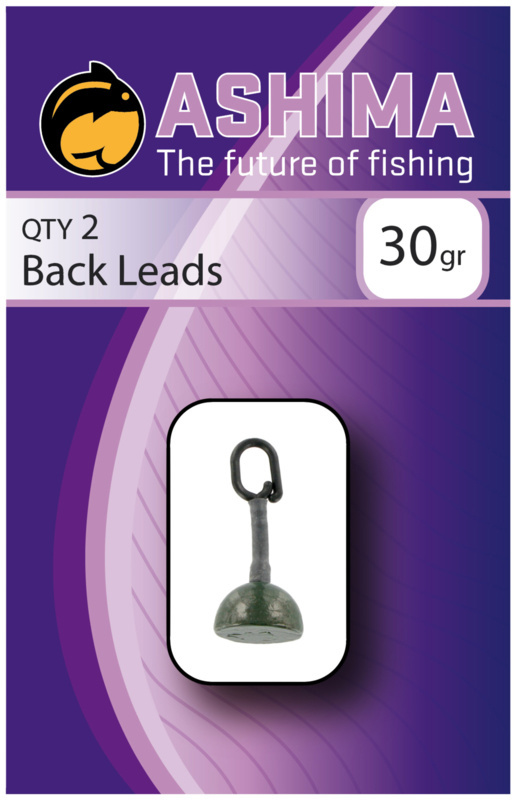 This clip ensures that your lead glides well over the line and that it stays in place. If your line gets stuck, the clip will come loose after a while with pressure and you can continue to drill.